The load on a power station varies from time to time due to uncertain demands of the consumers and is known as the variable load on the station. A power station is designed to meet the load requirements of the consumers. An ideal load on the station, from standpoint of equipment needed and operating routine, would be one of constant magnitude and steady duration. However, such a steady load on the station is never realized in actual practice. The consumers require their small or large block of power in accordance with the demands of their activities. Thus the load demand of one consumer at any time may be different from that of the other consumer. The result is that load on the power station varies from time to time. 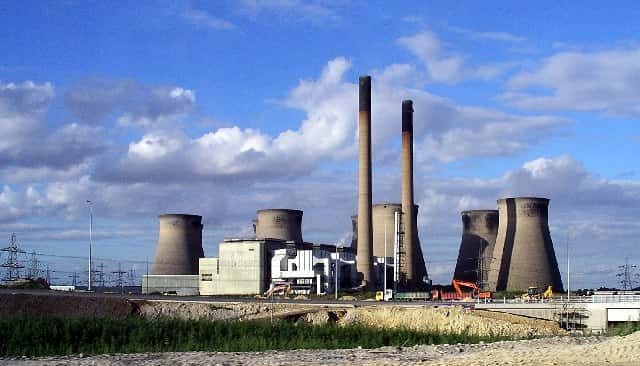 The variable load on a power station necessitates having additional equipment. By way of illustration, consider a steam power station. Air, coal, and water are the raw materials for this plant. In order to produce variable power, the supply of these materials will be required to be varied correspondingly. For instance, if the power demand on the plant increases, it must be followed by the increased flow of coal, air, and water to the boiler in order to meet the increased demand. Therefore, additional equipment has to be installed to accomplish this job. As a matter of fact, in a modern power plant, there is much equipment devoted entirely to adjust the rates of supply of raw materials in accordance with the power demand made on the plant. The variable load on the plant increases the cost of the production of electrical energy. An alternator operates at maximum efficiency near its rated capacity. If a single alternator is used, it will have poor efficiency during periods of light loads on the plant. Therefore, in actual practice, a number of alternators of different capacities are installed so that most of the alternators can be operated at nearly full load capacity. However, the use of a number of generating units increases the initial cost per kW of the plant capacity as well as the floor area required. This leads to an increase in the production cost of energy. extent of variable load on the plant. Supposing the load on the plant increases. This will reduce the rotational speed of the turbo-generator. The governor will come into action operating a steam valve and admitting more steam and increasing the turbine speed to its normal value. This increased amount of steam will have to be supplied by the steam generation. The governor response from load to the turbine is quite prompt, but after this point, the governing response will be quite slower. Variable load results in fluctuating steam demand. Due to this, it becomes, very difficult to secure good combustion since efficient combustion requires the coordination of so many various services. The variable load requirements also modify the operating characteristics built into equipment. Due to non-steady load on the plant, the equipment cannot operate at the designed load points. Hence for the equipment, a flat-topped load efficiency curve is more desirable than a peaked one. In addition to the effect of variable load on power plant design, the variable load conditions impose operation problems also, when the power plant is commissioned. Even though the availability for service of the modern central power plants is very high, usually more than 95%, the public utility plants commonly remain on the “readiness-to-service” bases. Due to this, they must keep certain of their reserve capacity in “readiness-to-service”. This capacity is called “spinning reserve” and represents the equipment standby at normal operating conditions of pressure, speed etc. In a steam power plant, the variable load on electric generation ultimately gets reflected on the variable steam demand on the steam generator and on various other equipment. The operation characteristics of such equipment are not linear with load, so, their operation becomes quite complicated. As the load on electrical supply systems grow, a number of power plants are interconnected to meet the load. The load is divided among various power plants to achieve the utmost economy in the whole system. When the system consists of one baseload plant and one or more peak load plants, the load in excess of baseload plant capacity is dispatched to the best peak system, all of which are nearly equally efficient, the best load distribution needs thorough study and full knowledge of the system.